Simmba Trailer: Rohit Shettys letest directorel is a remake of telgu film tamper and stars Ranveer Singh,Sara Ali Khan Sonu Sood and Ashutosh Rana.Its first trailer hints that the film promises a lot of action and entertainment. 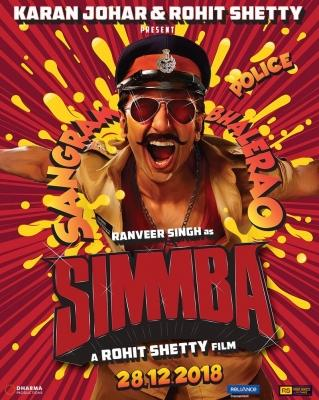 The trailer begins with Ajay Devgn in his Singham avtaar introducing the audience to the new vipin the blok - Simmba,played by Ranveer Singh.But unlike Singham,Simmba has on qualms about being corrupt and making money by working for the local dons. And while he thinks his life is about flexing muscles on those who try to challenge him romancing Sara,things take a turn when his so called sister dies after getting raped.Ashattered Simmba pledges to take down tha repist and pronounce them a pinishpuni in his own Court of law.